Designed to bring flair and a creative spark, let your kids write their legacy in the stars just like the Brazilian superstar Neymar. 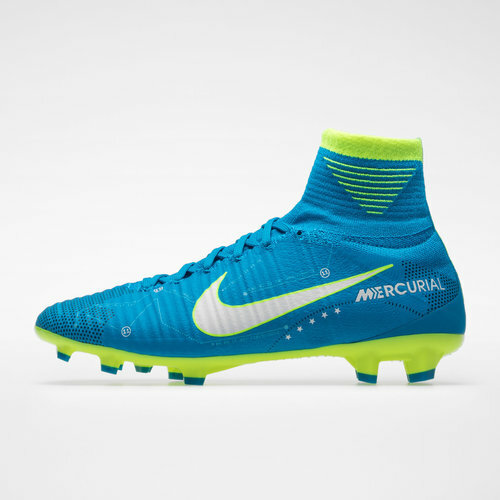 Lace up in a pair of Nike Mercurial Vapor V D-Fit Neymar Kids FG Football Boots. This brand new kids Mercurial Vapor Neymar Jr edition, 'Written in The Stars' is a boot dedicated to key moments in Neymar's life. Things like goals, speed and birthdays are featured in an astrological chart which creates a unique and attractive design. The colourway itself takes inspiration from the Brazillian flag, the birth place of Neymar. These kids Nike boots have a superfly collar and features padding around the heel and ankle that provides additional support and boasts a tongueless design for ease of access. 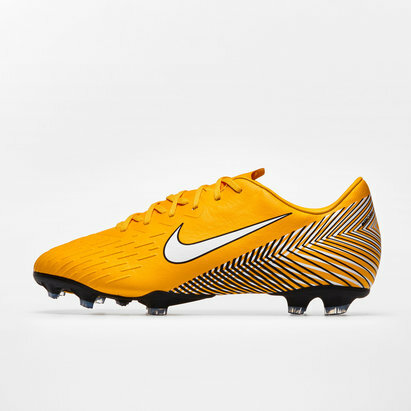 Built upon a flexible full-length carbon fibre soleplate with a split toe design, quick changes in direction turns and incredible pace are all possible wearing these stylish boots.